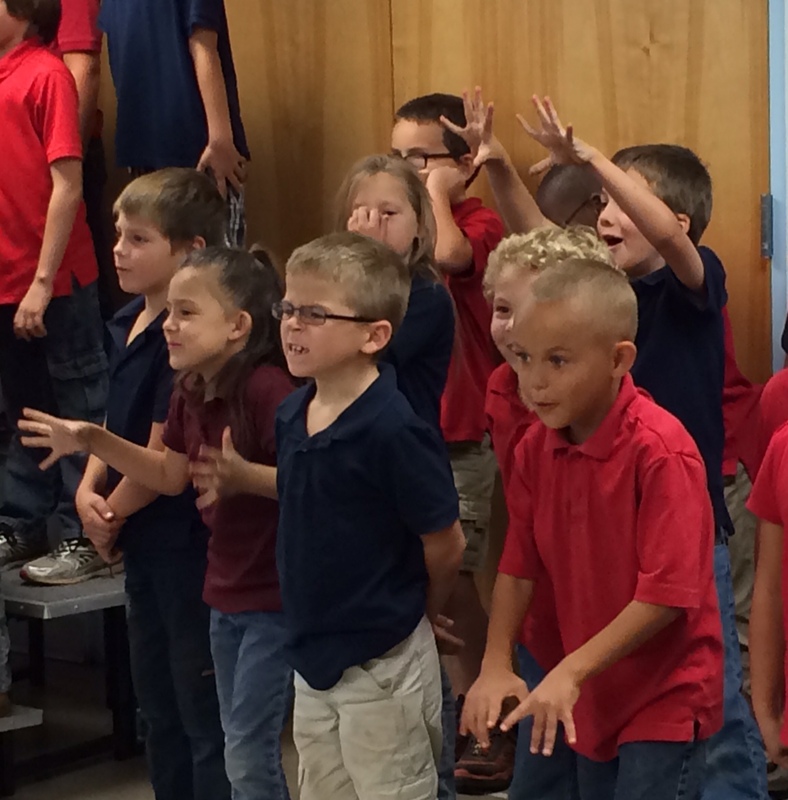 Led by Ms. Dokken, 1st and 2nd graders perform for a full crowd. 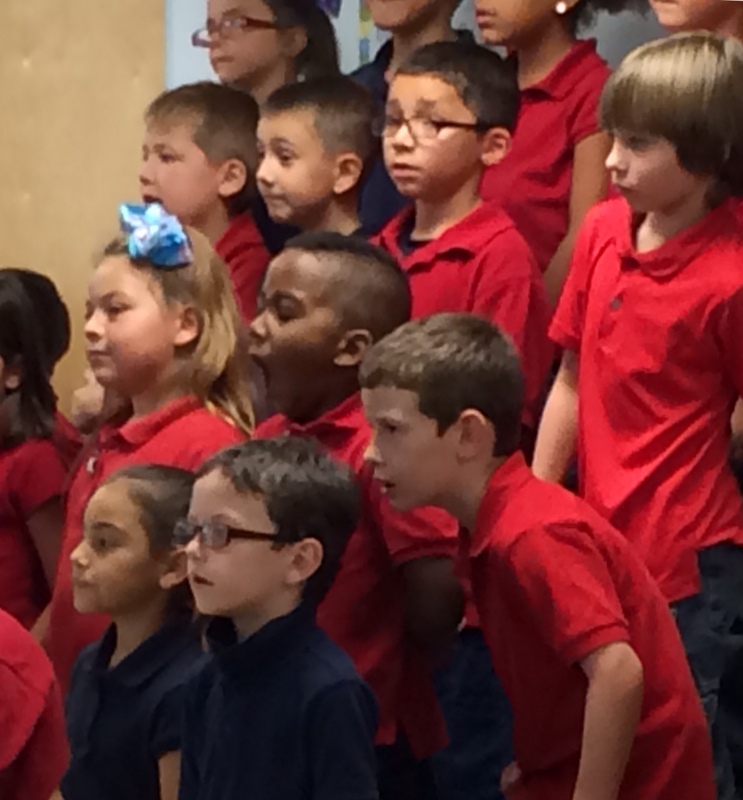 1st and 2nd grade students watch Ms. Dokken intently as they sing. Oct 7th 2014 — Ms. Meyer’s and Ms. Austin’s 1st and 2nd grade classes performed in CAS’s first-ever musical production garnering applause and appreciation from over 100 parents and family friends. The singers — led by CAS music teacher Ms. Rosemarie Dokken — shared eleven songs most of which had an autumnal theme while others centered on family, friends, and positive attitudes. Additionally, songs like “School is Back in Session,” “You’re My Bud,” and “We Love our Grandparents” all showcased a positive message about school, friends, and family. 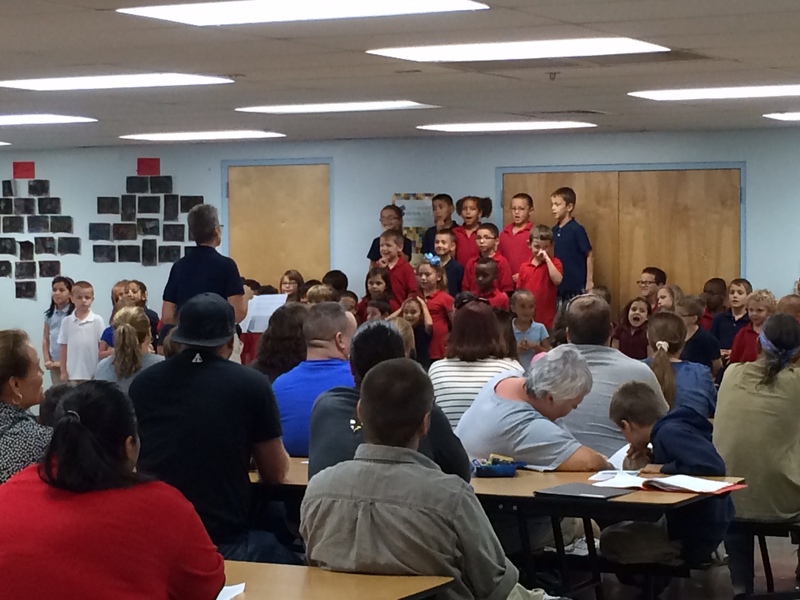 Ms. Dokken even called for all grandparents attending to stand so they could be honored preceding the song about their special relationship with the students. CAS also provided refreshments following the show and held a raffle for an elaborately-carved pumpkin (carved by high school student Alyssa Stoddard). The music program is a new addition to CAS schools this year and, along with the art program, provides students a creative outlet for their passions in addition to a well-rounded education.